Dearly beloved Brothers and Sisters in Christ! Greetings to you all in the most precious name of our LORD JESUS CHRIST! I am very glad to meet you all in this website. 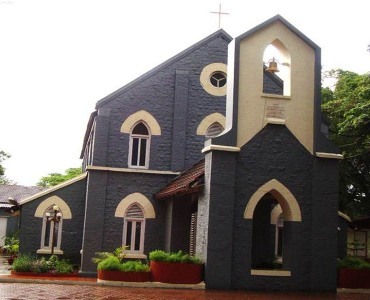 Methodist Tamil Church, Khadki in Pune is a small congregation consisting of 30 families and it was started in early 1960's. Though it is a small church but spiritually and numerically growing becoming vibrant for the gospel of Jesus Christ. This congregation is also a witnessing community for the glory of God. Our church is a mission minded and supporting two missionaries who are working in Gujarat also helping four tribal children’s education. We wish to support many more missionaries to reach the unreached areas of our country. This has been our long awaiting desire to have our own website and we have been praying for this need, we thank God for the initiative taken by our church; we hope and pray that this will help all the viewers get to know about our church and the ministries of our church. Our church is very well known for praise and worship and meaningful worship service every week. All the above four organizations are actively involved in the growth of the church and lively contribute to all activities of the church. Our church pastorate committee members are very much supportive to the church ministry and all of them are very dedicated to the service of God in the church. All these four organizations are having many activities all through the year. We have recently started outreach ministry in Khadki Bazar and in Pimple Gurav, this ministry is carried out through the Mission and Evangelism committee. 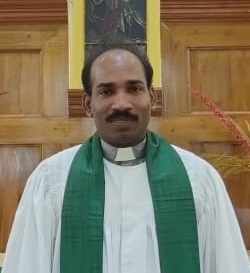 © Methodist Tamil Church Khadki. All rights reserved.